This plant was given to my by a friend, but we cannot seem to identify it. Please can someone help, so we can find the right information to care for it. It looks like a snake plant to me. Very easy to take care of, too. Looks like it might be some type of lily but we would need a couple more photos to really identify it. Did it bloom? If so, what shape/color were the flowers? 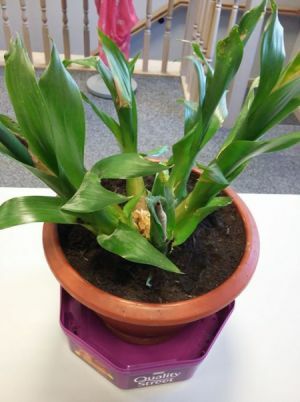 Is there more than one plant in the container?